Seashell lamp shade Dog Cockles is made by hand and to order, and the fabric is printed to order, so please expect a 2 week delivery time. If you would like a pendant fitting, please let me know. The interior lining is white finish. 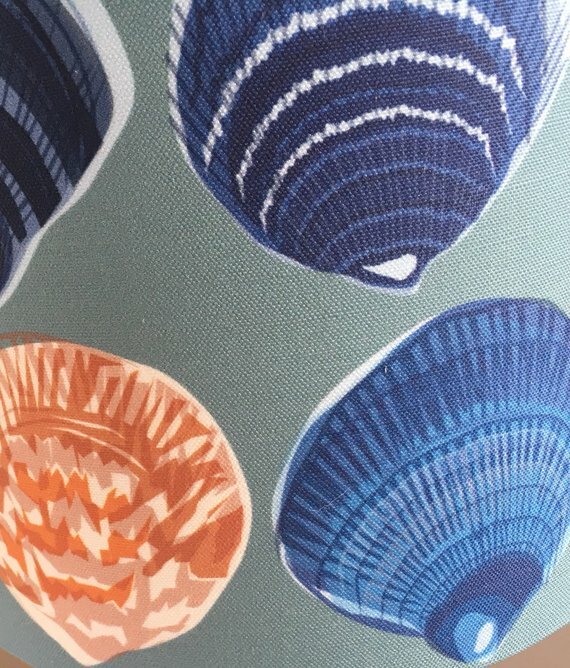 The fabric has been printed with my original Dog Cockles design, and is totally unique. 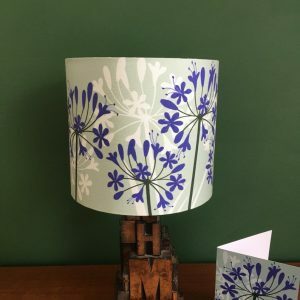 The background colour is a rich duck egg blue. 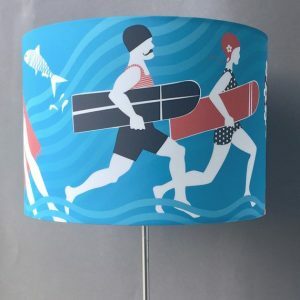 Blue Surfer lampshade is made by hand and to order, so please expect a 2 week delivery time. 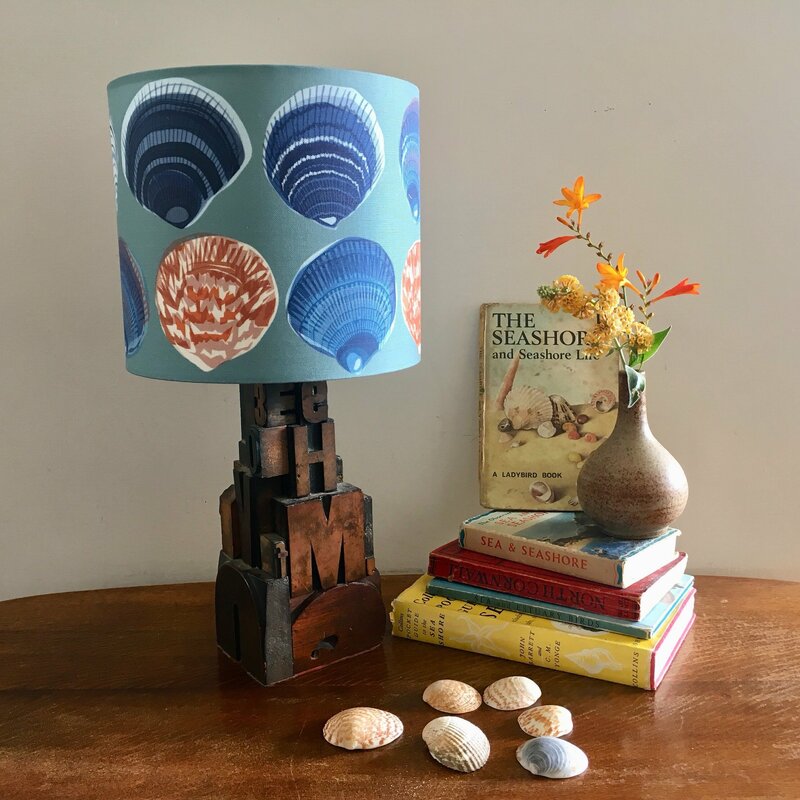 Please specify whether you would like the shade to be fitted for Lamp or for Pendant (hanging from the ceiling). 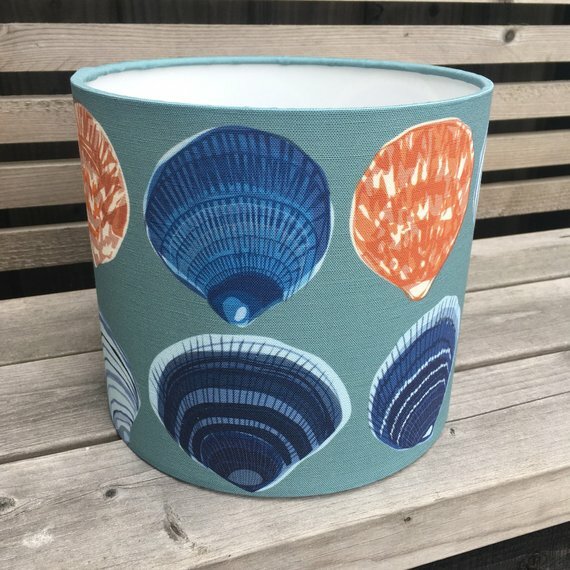 The fabric has been printed in the UK with my original surf and swimmer design, and is totally unique. 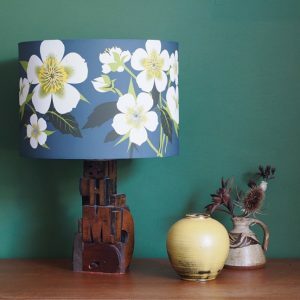 Hellebore 30cm Floral lampshade is made by hand and to order, and the fabric is printed to order, so please expect a 2 week delivery time.